Caimin Long ’17 (United States), who came to TASIS as a senior and stayed for a postgraduate year, will study General Management at Boston College’s Carroll School of Management, which he selected over College of the Holy Cross and Santa Clara University. 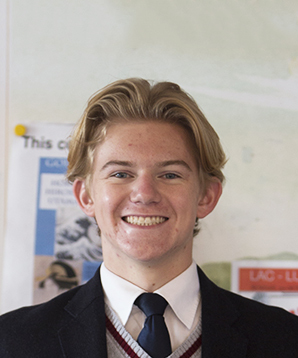 Caimin earned an IB Diploma while also finding time to take three AP classes—Calculus AB at TASIS and English Language and Composition and US History at his previous school—and score two 5s and a 4 on the corresponding exams. He is particularly proud of the 5 he earned on the AP Calculus exam after taking the class with Ms. Kerry Venchus, whose 12 students earned nine 5s and three 4s. “I will always remember Ms. Venchus' course because of how much work and effort my classmates and I put in to prepare ourselves for the exam,” he said.